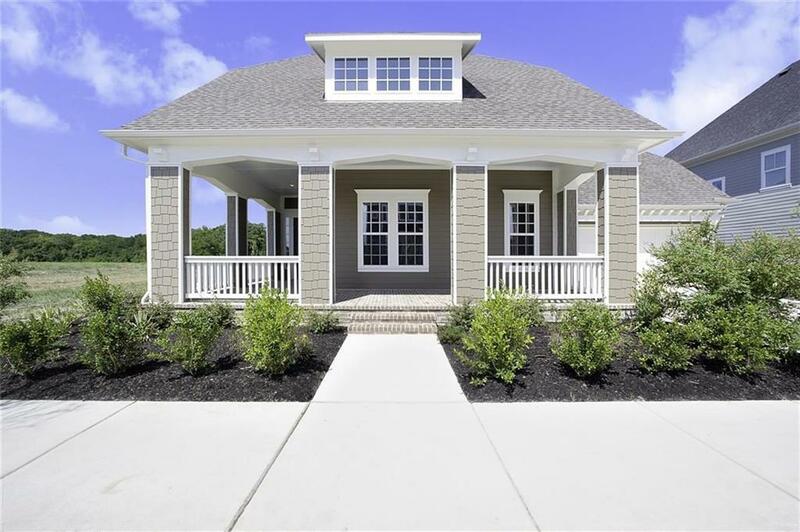 MLS# 14020164 - Built by Darling Homes - June completion! ~ Much desired 1 story historical style home! Beautiful nail down dark floors extended to kitchen and rear family room with painted brick fireplace w cedar mantle. Sliding (3-panel) doors to at the Family room. Upgraded quartz counter tops in kitchen w white cabinets with 6âLED under cabinet lights & large kitchen island. Media room carpet upgrades, ceiling fan in master (granite countertop) & study & handy mud room. Built on our large lot and backs up to green space and trees!